Are you in Need of Emergency Assistance and Live in Kenosha County? Food checks for pregnant and post-partum women, infants and children under age 5. * Language assistance is available. 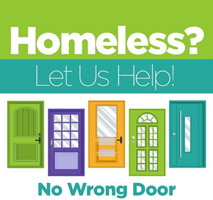 Coordinated Entry is a way people experiencing homelessness or at risk of homelessness may find housing and get connected to resources in their community. In most counties in Wisconsin, you can get help at agencies that assist homeless people and/or people in poverty. Are you eligible? You might be eligible if your primary nighttime residence is a public or private place not designed for or ordinarily used as a regular sleeping accommodation for people, including a car, park, abandoned building, bus or train station, airport, camping ground; OR living in a emergency or domestic violence shelter.